Since 2005, Fondation Saradar was sollicited by some municipalities in the Bekaa Valley. This demand prompted Fondation Saradar to explore and evaluate the needs in IT learning in the Bekaa region, which resulted in the launch of the new Cadmus® Caravan in 2009. 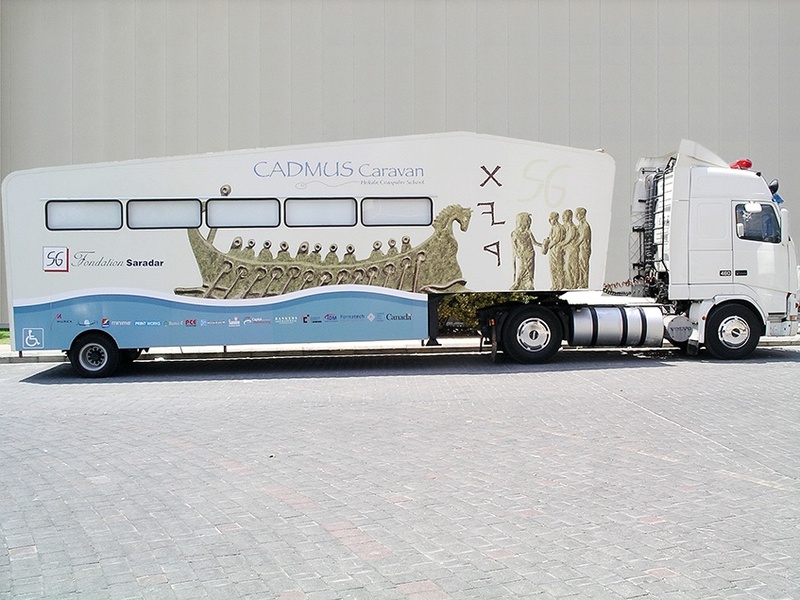 The name of the caravan “Cadmus” was suggested by Mrs. Nina Jidéjian. “Cadmus” the son of the King of Tyre, is seen – on a Third Century A.D Bronze coin minted in Tyre – offering a papyrus roll to a Greek delegation, thus referring that “Cadmus” passed on the Phoenician Alphabet to the Greeks. Inspired by the idea of transferring knowledge, this mobile computer school is named “Cadmus® Caravan” since it seeks to communicate and disseminate information and technology.